Quality saves. It saves on claims. It saves on call backs. But, more importantly, quality sells. It always has. Anyone can supply commodity. The best brands and businesses - the ones that reach back generations - are built on and build with quality. Sioux Chief is savings. But how can a quality, American manufacturer compete on price? Innovation. It's that simple. We do compete on price - and, more interestingly, we help contractors save more money still - by saving them time before, at and after the installation. 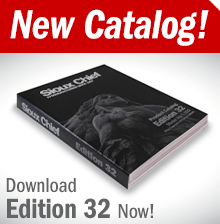 Recommending or even specifying Sioux Chief is good business. Your customer, your contractor and your brand will thank you. Sioux Chief offers one of the best warranties in the business. If we make it or sell it, we warrant it. In an industry where warranties are often held hostage for more business, we stand alone with our promise. See www.siouxchief.com for details on why this warranty might be of interest to you and your customers. Vendor Management. Sioux Chief’s line of products is perfect for consolidation. Our breadth of quality products together with competitive pricing means real value to our vendors. This has been the basis of fifty years of solid partnership with our distribution customers. Inventory Turns. Sioux Chief's products turn. We have a catalog jammed full of name branded solutions. Customers want them. They ask for them. They are part of their brand and business model. If you stock them, you will sell them - and fast. Inventory Control. Sioux Chief designs many products with an eye towards inventory control. For instance, we have modular boxes and drains. These allow for interchangeability, which helps manage stocking quantities. Fast Shipping. Of course, fast shipping plays a large part in inventory control. It is value to our distribution partners. So, we have some of the fastest shipping in the business - shipping most orders out in less than 24 hours. Fill Rates. We enjoy fill rates in excess of 99.9%. This service empowers our distribution partners. It also saves them money. Customer Service. We take pride in our customer service. We constantly seek to improve our approach. We know that a live, intelligent customer service agent adds value to our customers. We have some of the best in the business. Contractor Affinity. Sioux Chief is a contractor's brand, there is no doubt. That does not mean that we care less about our distribution customers. By caring for the contractor, we add value to our distribution partners. The contractor is our distributor's customer first and foremost - and by making the contractor happy, we make the distributor happy too. Freight Management. Vendor management has many benefits - such as receiving, purchasing, inventory control and other administrative efficiencies. They are very real. But, freight making is one of the biggest benefits of consolidating purchases and focusing on vendor partnerships. Sioux Chief is the perfect partner. Because our line is so robust - full of quality, prime and right priced products, we are a great freight management fit for many distributors. Consolidate your business to Sioux Chief - and save.